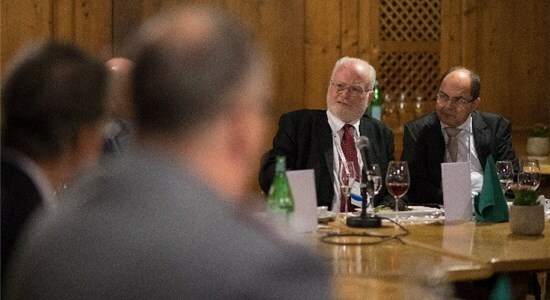 In 2017 ELNET-Germany presented former Director of the Political Military and Policy Bureau of the Israel Ministry of Defence, Amos Gilead on the Munich Security Conference (MSC). In a lunch briefing on “Terrorism at Home: Challenges and Opportunities for Israel and Europe” he explained the Israeli threat environment and its impact on the broader regional security environment. The audience was especially interested in the Israeli approach towards Daesh. Active as well as former ministers of Germany, various German MPs, NATO officials, international press as well as ELNET-Germany partners participated in an active debate with Amos Gilead. The quality of the audience present at ELNET’s lunch discussion underlines how important the close cooperation with Israel for Europe’s and Germany’s elite is. It shows eminent interest for Israel as well as for ELNET-Germany at the MSC. Amos Gilead could further draw the attention of German politicians and officials to crucial securities issues related to Israel.